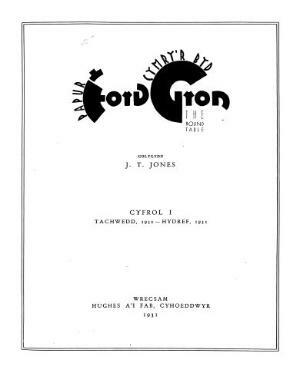 Y Ford Gron: papur Cymry'r byd [The round table: a paper for the Welshmen of the world] was a monthly popular Welsh-language magazine containing news and articles on travel, fashion, the arts and current events. It was illustrated, and included letters, editorials and advertisements. It was published between 1931 and 1935.